Glowing skin is something I rarely achieve without a bit of help. Using a good highlighter really perks up my skin and adds that little something extra to my makeup. I’ve found some great highlighters at both ends of the price spectrum. Today I’m sharing my the majority of my collection. On the outside, it looks similar to one of Bobbi Browns shimmer bricks – on the inside this is billed as a mix of blush and highlighter. Rose Glow is a mixture of five complimentary shades of pink, champagne and beige, which combined makes a pretty light pink shade. The texture is powdery and theres a lot of shimmer in here so its one probably better used in the evening. Like the ELF product, whilst this is billed as a blush, its far more suitable as a highlighter. 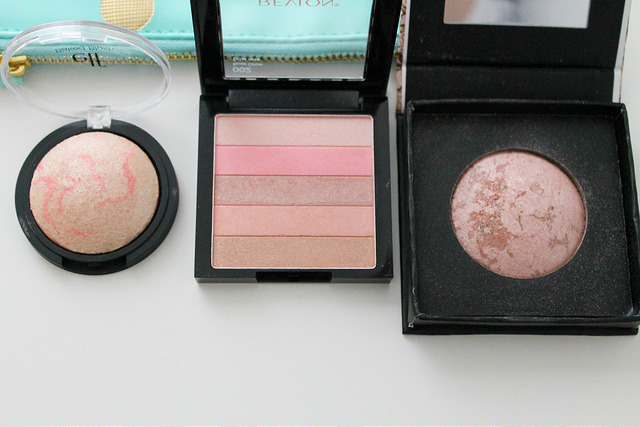 Its a very light pink champagne shimmery highlighter that looks stunning when applied to the face. Again I’ve read its meant to be a dupe of MAC’s MSF in soft and gentle and its similar to the E.L.F blush so you don’t really need both. For £3.99, you really cant go wrong with this product – its highly pigmented and smooth, without being too powdery. I can imagine it would suit a range of skin tones too! 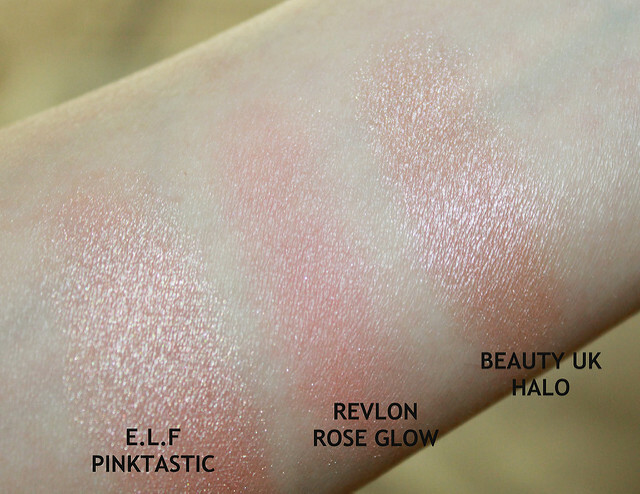 The E.L.F swatch is slight blurry – blogger problems!You can see a better swatch is this post. Typically, my most expensive highlighter is my favourite. 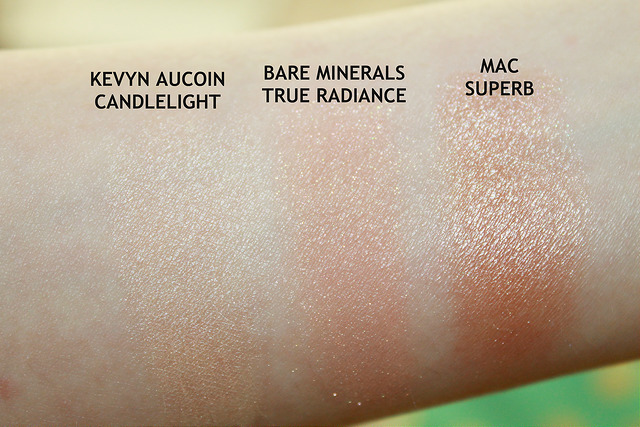 This is just such a subtle powder that it adds a beautiful luminosity to the skin. Its a golden apricot powder that gives a soft focus finish. It kicks up a bit of powder in the pan so I prefer to apply it with a different brush to the compact (you don’t get a brush with it anymore but I recommend a fan brush to apply). Perfection. A quick mention for this powder as you cant seem to buy it anymore. I’ve had this a while and I’m not sure if it came as part of a kit but its still a product I use from time to time. 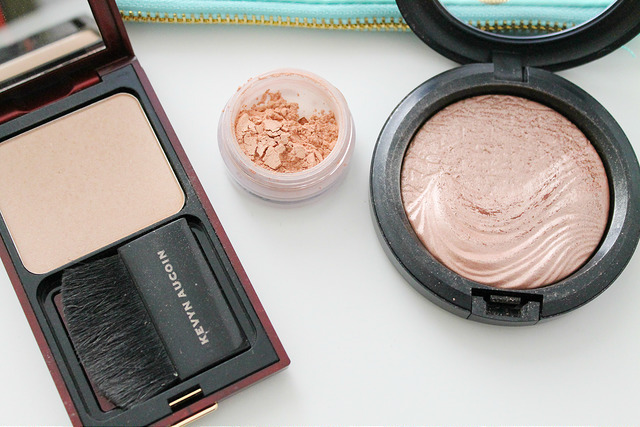 True Radiance is a pinky brown powder that adds a little bronze and radiance in one. I only use a tiny amount as it can look too obvious on my pale skin if I apply too much. You can get different coloured versions of this powder and its definitely one to look at if you don’t mind loose powder products. This is another product you can get hold of at the moment – well unless you give ebay a try but I wanted to mention it as its one of my favourites and MAC have released this a few times since I purchased mine so no doubt it will show up again at some point. This is a highly pigmented champagne/peach metallic highlighter, similar to Estee Lauders Gelees Illuminating powders. Definitely one to pick up if its re-released! 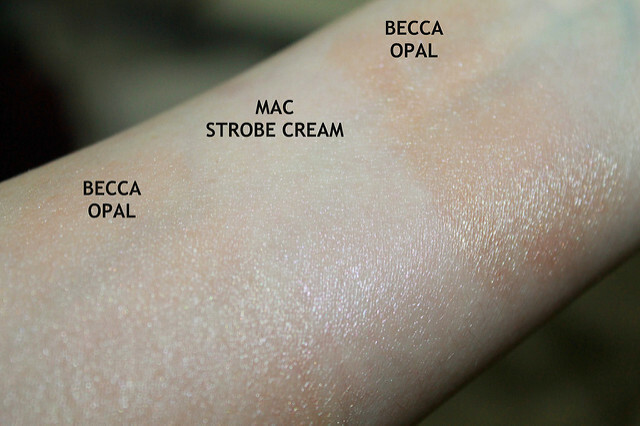 Probably my least used highlighter as I only have a mini sample and I think this is possibly too warm for my skin tone but its a water based liquid highlighter in a warm gold shade. 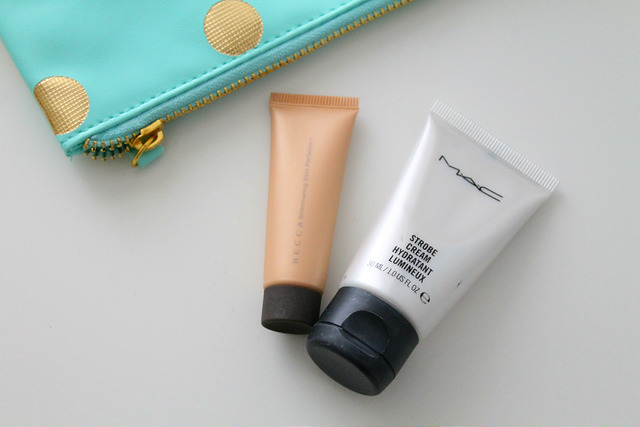 It gives a gorgeous glow and can be mixed with foundation, moisturiser or used alone. A brightening cream that helps revive tired looking skin. This can be used under makeup or mixed with foundation. I love mixing this with a powder concealer and using under my eyes as its really helps conceal and brighten my dark undereye circles. It adds a really gorgeous glow to the skin and perks it up for a naturally radiant look.